Bryan Cranston could have been a movie star. That was the truism shared by everyone racking their brains for a column topic (or, let’s be honest, a tweet) off the back of the former Malcolm in the Middle star’s turn in Breaking Bad. In return, Cranston has…not done that. Throw The Upside in the same pile as Power Rangers and Why Him? If the first trailer for The Upside looks familiar, that’s because it’s the much-ballyhooed English-language remake of The Intouchables. That French dramedy followed the unlikely friendship which blooms between Philippe, a wealthy quadriplegic, and his live-in carer Driss. It’s mawkish, sentimental, and mildly offensive in the way that film academies love, so it won a bunch of César Awards. 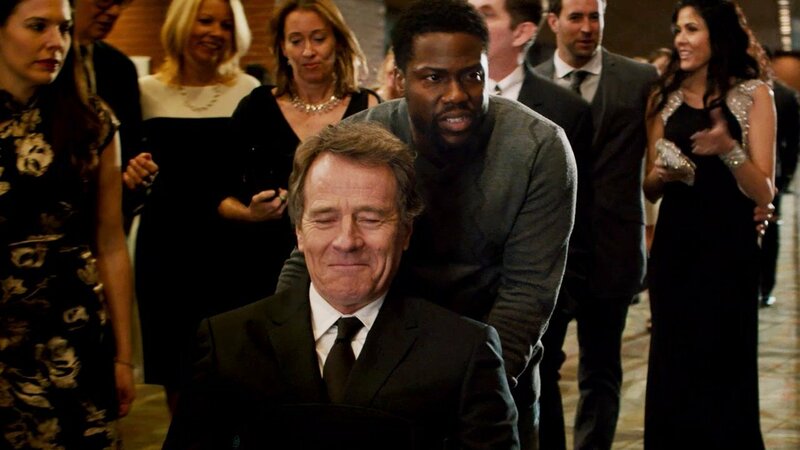 Here Cranston takes on the Phillipe role (which here drops the “e” because translating a film for another country is an art), something coloquially known as “cripface“, and Kevin Hart fills Omar Sy’s part as Dell. I’m going to level with you all: this looks real bad! It looks like Hart is toning down his usual manic energy, but that’s not really what people want from Kevin Hart, is it? Nicole Kidman also appears in this teaser, as Phillip’s assistant, which looks like a pretty thankless role. The Upside is directed by Neil Burger, who brought us Divergent and Limitless, and this has all the hallmarks of his unique visual aesthetic. That was sarcasm, which is the sort of thing which will not be allowed in this heart-warming and not-at-all condescending story! The Upside has a chequered history which is approximately 1000% more interesting than the movie itself. Paul Feig (Bridesmaids, Ghostbusters) was originally slated to direct and write, with Chris Rock, Jamie Foxx and Idris Elba in line to play Dell, and Colin Firth in talks for Phillip. After Feig dropped out, it looked like The Nutty Professor and Ace Ventura’s Tom Shadyac was going to direct Chris Tucker in the lead role, after which Cranston came on board to continue the good work he did with (checks notes) The Infiltrator? So it could have probably been a lot better than this looks; it certainly could have been much worse. It probably never could have been good. The Upside will be released on January 11 2019. Prove me wrong, movie!